British-Israeli industrial designer Ron Arad, has designed a 3D printed book to celebrate the 100th anniversary of Einstein’s Theory of Relativity. The project was completed in collaboration with the Canadian Friends of Hebrew University (CFHU), an NGO for the promotion of Hebrew University of Jerusalem, a university co-founded by Albert Einstein. Genius 100, a Canadian-based community of humanitarians for inspiring visionaries of the future, initiated the project. One of the benefits of 3D printing is its ability to accomplish complicated forms. The technology has made artists and designers to explore the limits of art and manufacturing. For example, a recently concluded purmundus design challenge invited contestants from around the world to envision the design of the future. Ron Arad chose 3D printing for similar reasons, partly due to its design and also because it is a technology of the future. Arad has also used 3D printing in the past to make 3D printed glasses. 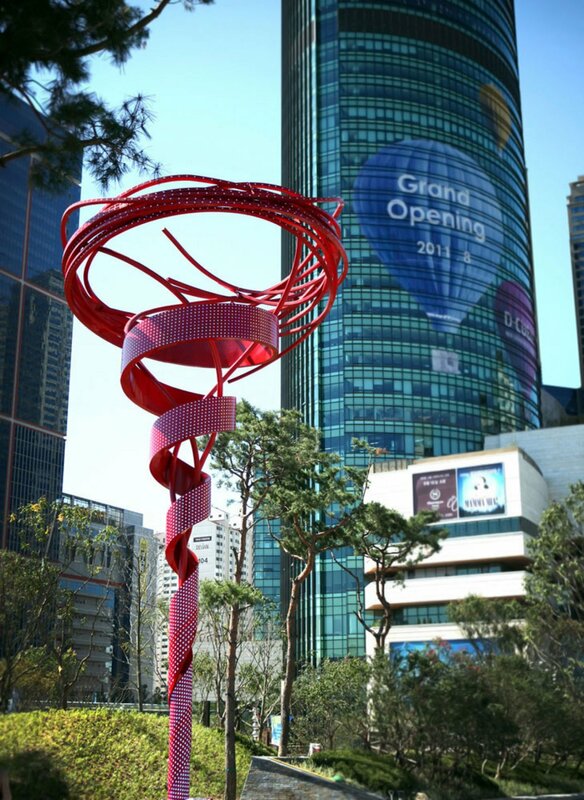 Arad is internationally renowned has worked for companies such as the Italian furniture designer, Kartell, and known for public sculptures like the Vortext in Seoul, a 17m high spiral sculpture, and Kesher sculpture in Tel Aviv University. For the Einstein project, Arad collaborated with the London-based 3D printing service bureau, Digits2Widgets. Vortext, a public sculpture designed by Ron Arad. The 3D printed book is made up of a hundred one-page essays from hundred visionaries around the world. These people are chosen from various fields such as humanities, science, law, literature, and art, each contributing a one-page essay to the book. The names included in the book are the likes of Salman Rushdie, the author of Midnight’s Children, and Dr. Shinya Yamanaka, a Nobel Laureate in Stem Cell Research. Another eleven Nobel Laureates also feature in the book. Made in the likeness of Einstein, the Genius book was prototyped using a Made in Space 3D printer on the International Space Station. And the book itself was printed by Digits2Widgets, using the EOS P 396, an SLS 3D printer. It is 40 cm in length, 30 cm wide, and 15 cm thick. Genius: 100 Visions of the Future will be showcased next year at the Sigmund Freud Museum in Vienna.